The book is not a fast paced novel which brings in detail the characteristics of Darwin as an assertive, kind, humorous, aggressive and obedient young man with ambitions to achieve his goals in life. Due to his aggressiveness and humorous nature, Darwin became Luther’s backup chauffer after getting a training for driving from Laszlo who is Luther`s senior security officer. Darwin`s kindness and obedience was admired by Laszlo, Dr. & Mrs. Malverne, Sweeney who was Luther`s fiance, Granny, Coral and Helen who were Malverne`s daughters, Pearlstein who was Darwin`s home English tutor and Dominique who was Darwin`s colleague in the Medical School. You can purchase images in a number of different formats in the Online Store. Lots of discussion about writing by contemporary writers. Read and join. Enjoy the novel "McDowell" by William H. Coles on PODCAST for free. A finalist in the William Faulkner Creative Writing Competition. Karen, I just read Uncle Toms Cabin for the first time. In 1852 she nailed it that the capitalism in England woul replace slavery. Enjoy the short story "Inside the Matryoshka" on PODCAST for free. An award-winning story in the William Faulkner Creative Writing Competition by William H. Coles. 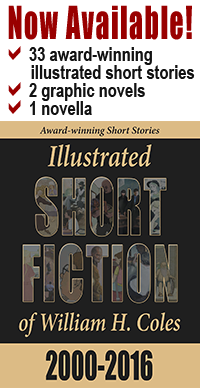 Free PODCAST, "INSIDE THE MATROYSHKA" an award-winning short story by William H. Coles. Enjoy the short story "Grief" on PODCAST for free. An award-winning story in the William Faulkner Creative Writing Competition by William H. Coles. 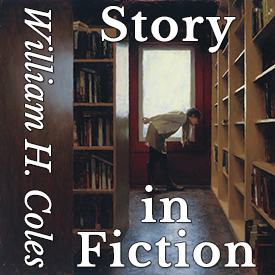 Free PODCAST, "GRIEF" an award-winning short story by William H. Coles. Listened to it; enjoyed it! This looks great. Bookmarking it!! A story worth hearing. I heard a couple of things that intrigued me, and a couple of things that bothered me. I think if I saw a former lover after 20-something years, I would be much less concerned about my petulant daughter than the shock of seeing an old love dying. And if there's an open coffin, then why would there later be a cremation? But I'm sure I'll remember this story. Thanks, Mr.Coles, for sharing it. David Clubb, check this out.